Today I took Brigitte out for a long drive around Munich, eliciting smiles and waves everywhere I went even on a grey and cold morning. Driving an old-timer is a public service as we make people happy! I had downloaded a GPS speed checker app to my iPhone so that I could verify the accuracy of the speedometer in the DS. I suspected that it was wildly inaccurate but it turns out I should have more faith. Even at 100kph it was accurate within a couple of kilometres! Not bad. The other thing I have been interested to find out, is how much petrol she is using. So as the tank was getting low I filled her up today and input the details into another app that I use for all my cars, Road Trip. Surprisingly, given her age, and the fact that she is not actually running terribly well, the fuel economy figure is currently 9.14l/100km! Not bad for a big heavy luxury car, albeit a rather slow one. I will be interested to see if this improves after I have some more work done on the engine to get it running better. 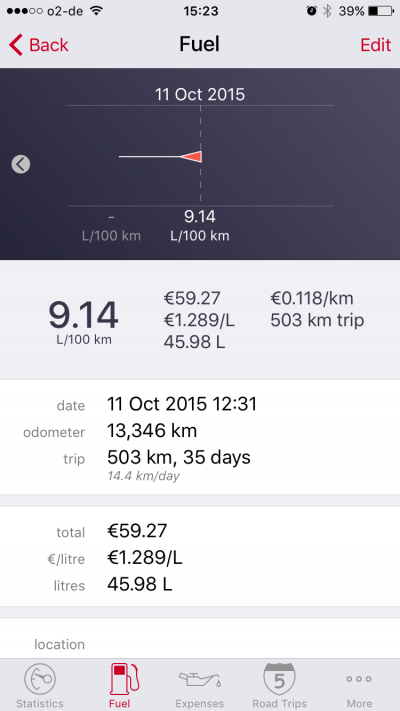 Also surprising was the fact that I have apparently done 503km in her in a month. 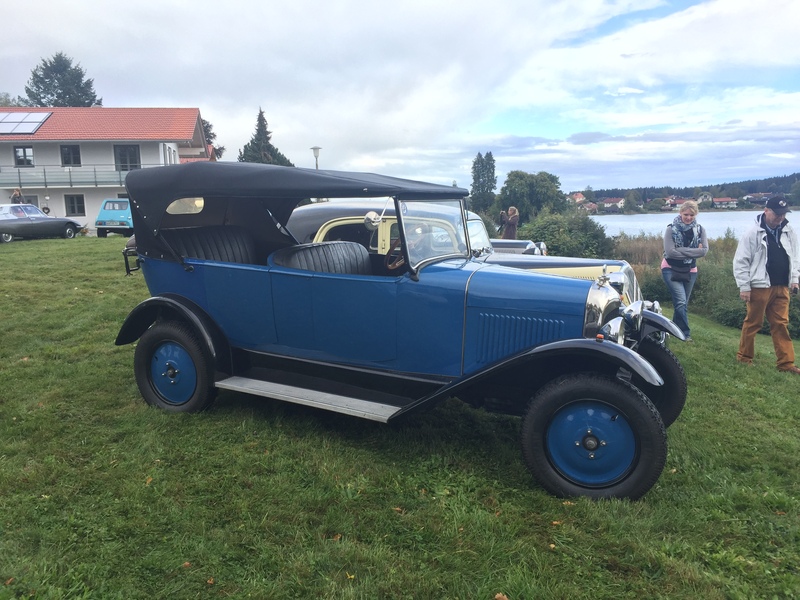 It is a well known fact that old cars do not like to sit for long periods of time without being used because seals dry out and they generally deteriorate. The flip side of this is that driving them frequently seems to make them run better and better and I am seeing this with Brigitte. I wouldn’t say that she is running “well” yet but she no longer stalls at intersections and the hydraulic steering is getting smoother, as is the hydraulic gear change. My plan is to just keep driving her for a few more months and then take her back to the mechanic for a check up and a tune up. Meanwhile, fingers crossed that we don’t have an early winter as I still want some time to drive her around before the snow and salt set in. 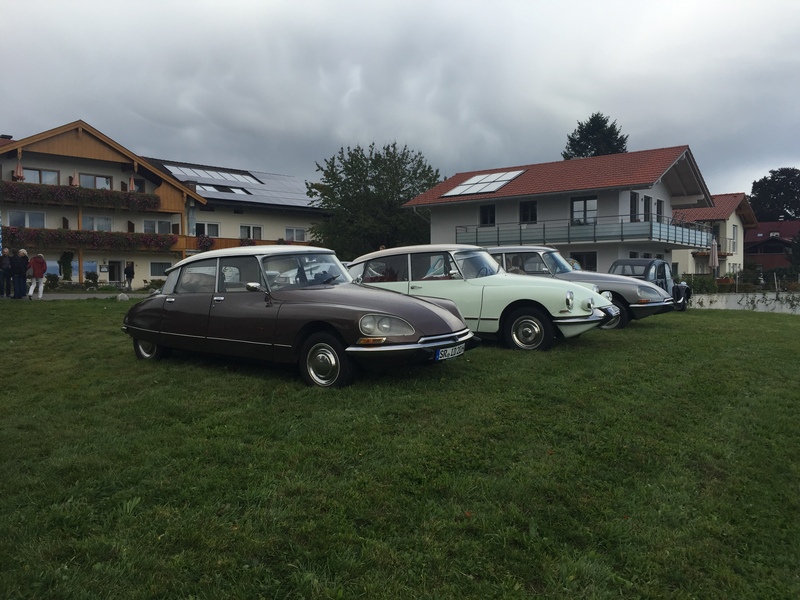 Brigitte meets some other Citroëns! 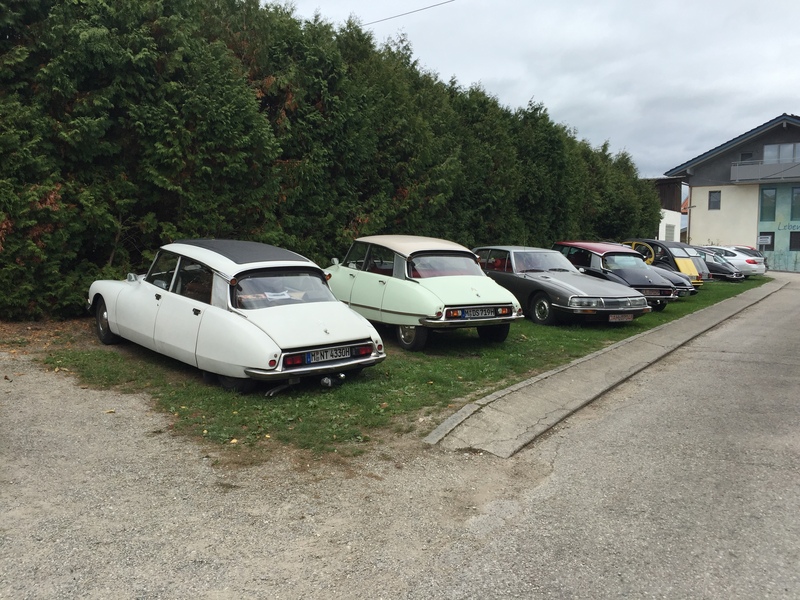 Finally, after about 7 years of false starts, Brigitte was well enough for an outing with the Citroën club where I had a chance to start socialising her with other Citroëns! 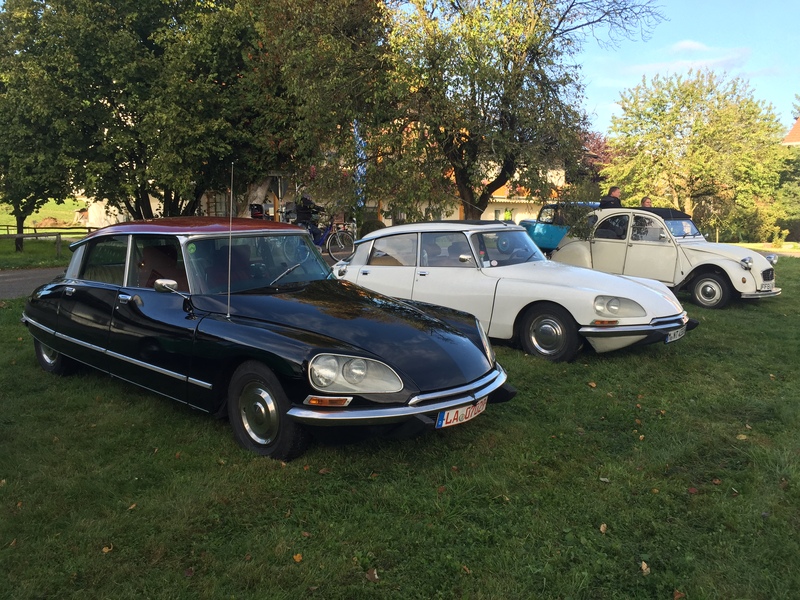 I am a member of the Citroën Veteranen Club Deutschland, Bavarian chapter and on 4 October 2015 they had organised a drive day down towards Chiemsee, southeast of Munich. It was a little bit of a foggy drizzly morning but undeterred we motored down the B304 (landstraße or B road), once I had worked out how to operate the windscreen wipers… If you are not keeping to a tight schedule then the landstraße in Bavaria are a much nicer way to travel than the autobahns, particularly in an old-timer. Curving smooth roads through rolling hills and picturesque scenery are much nicer in a slow car than joining the hectic and intense autobahns. Once I had joined the rest of the club members at our lunch meeting place in Pelham (with a lovely view of Pelhamer See) we had a typical Bavarian lunch before heading off again towards Seebruck at the northern tip of Chiemsee. This is an ancient Roman location and we visited a museum about the Roman history of the area. Then, with the sun coming out, we all drove off in convoy again towards our final stop at Seeoner Seen, for coffee and photos. 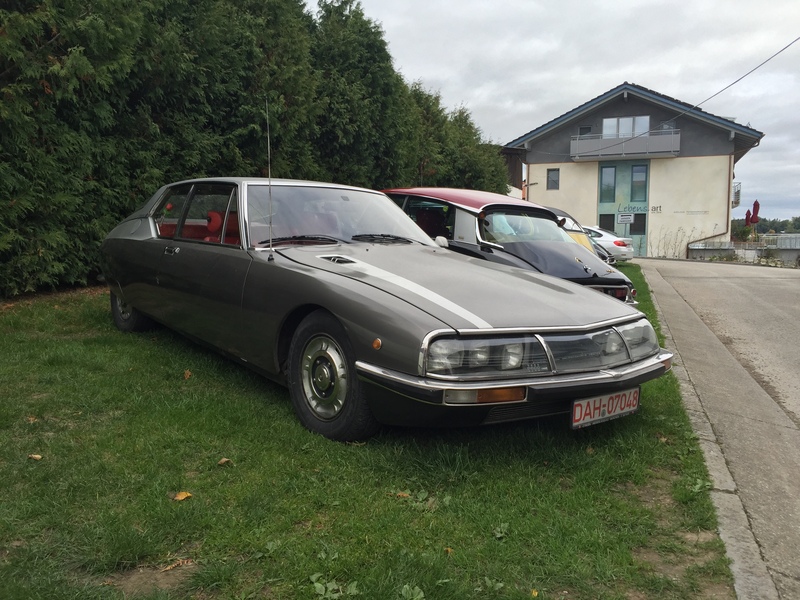 You get even more smiles and waves when driving in a convoy of old Citroëns than you do when driving alone! Enjoy the photos from Seeoner Seen below. Three old ladies staring out to sea. Oldest car of the day. Well after a (very) long time without blogging anything here I am again. The last time I wrote was back in 2012 and I have moved countries 3 times since then! I wrote that my DS was “fixed” and in storage in the Netherlands waiting for a lucky buyer to come along and take her away. Needless to say, that never happened. 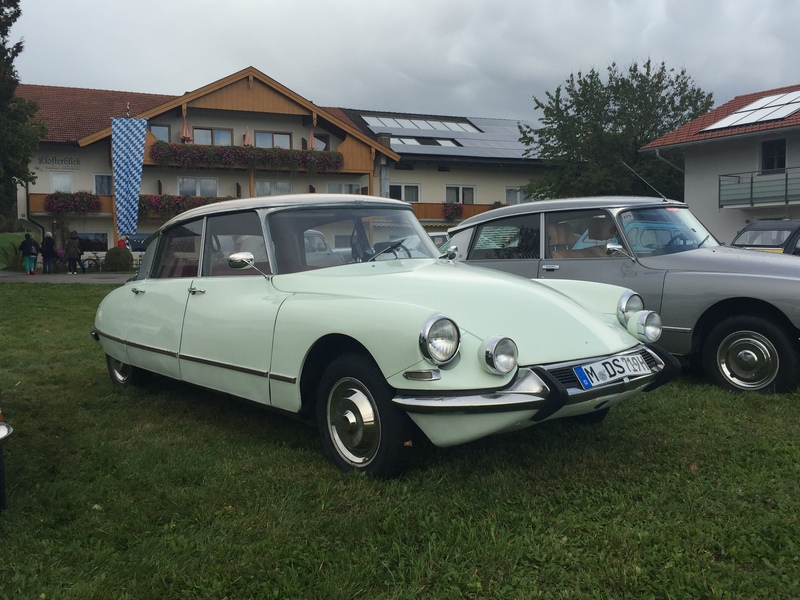 I’m now living in Munich, Germany and I have had the DS “Brigitte” shipped here where she is currently at the doctor being “fixed” again… The Citröen specialist has the instructions to keep fixing her until she passes the registration test which was maybe a bit of a rash instruction to give on my part… I’m told I will have her back next week so let’s see how that goes. Anyway, a quick update on how I came to be in Munich. I was working for BMW in Italy for a year in 2012. When that contract ended I moved back to Australia intending to get a job there and “settle down”. That lasted three months before I was offered another job at BMW in Tokyo so off I went with less than a weeks notice. I spent 14 months in Tokyo which is my favourite city in the world. Always something happening and many amazing experiences including a cocktail party on a British warship parked (moored? docked?) in Tokyo Bay. I also had the opportunity to drive many high-end BMWs that I had not gotten my hands on before including a 750i, 650i GranCoupé, 640i Coupé, 335i Convertible, ActiveHybrid3, and ‘funnest’ of all, an i3. I will do some individual reviews on some of these shortly. As my contract in Japan came to an end I was lucky enough to be offered a permanent position back at the BMW Mothership in Munich which I duly accepted. So I’m now planning to be here for the foreseeable future. Best of all I now have even more access to the cars! I’m currently driving a BMW M135i hatch (video review will be posted next) and I have a BMW 430d Coupé on order which I will receive in July. So that’s enough update. More car reviews and musings will follow soon. Well it has been a while since I updated progress on my Citroën. It is all fixed and running now although still unregistered and stored in a garage in the Netherlands. I would like to sell it as I am moving back to Australia next year and transporting it just feels like it will overcomplicate my life. However, if it doesn’t sell then I will take it with me. 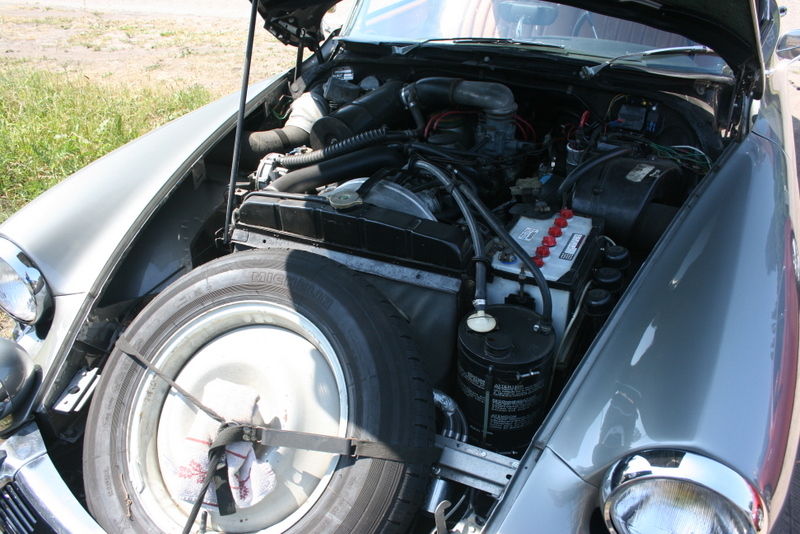 In the meantime I am planning to spend my summer holiday fixing a few cosmetic things and getting it running sweetly. I’d also like to register it in the Netherlands so I can drive it around a bit but I’m guessing that will require me to register myself as resident there. Not the end of the world I guess. During the recent summer holidays I decided to escape the heat of Madrid and head north where I spent among other places, a week in Berlin. My rationale was that all the Germans will have gone to Spain for their summer holidays so it should be nice and quiet. I’d been to Berlin before so there was no great pressure to rush around seeing all the tourist sites. But one thing I did want to see was Meilenwerk Berlin. I had read about this place on the TopGear website and it sounded amazing. I was not disappointed. 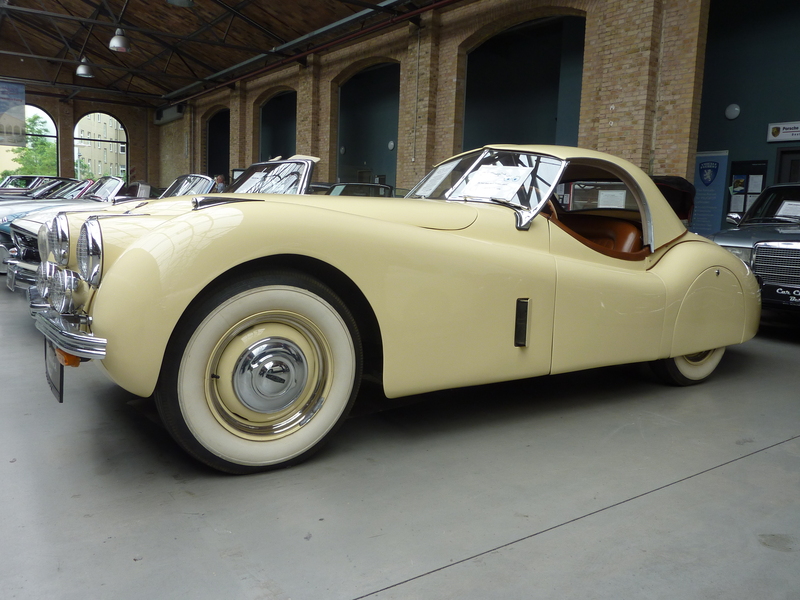 Meilenwerk is essentially a storage warehouse for classic cars. One pays 130€ per month (extremely reasonable in my opinion) and one is then able to store one’s Rolls Royce, Mercedes, Ferrari etc in a climate controlled glass box. In addition there are specialist garages attached to the facility for Jaguar, Mercedes, Citroën and other marks. 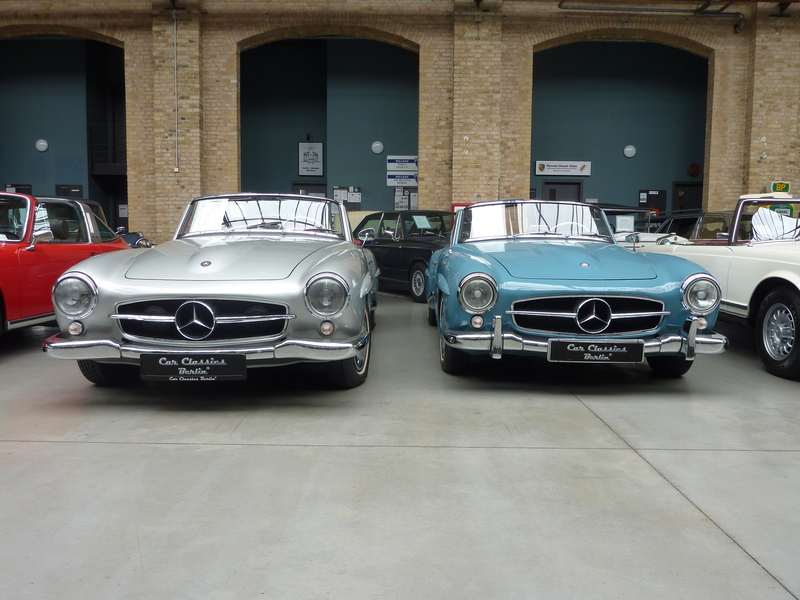 Meilenwerk also have a large number of cars for sale, some such as the Mercedes SL’s with astronomical price tags. But the best bit is that this whole facility is open to the public and completely free to enter. I spent a few happy hours wandering around admiring all the cars on display. 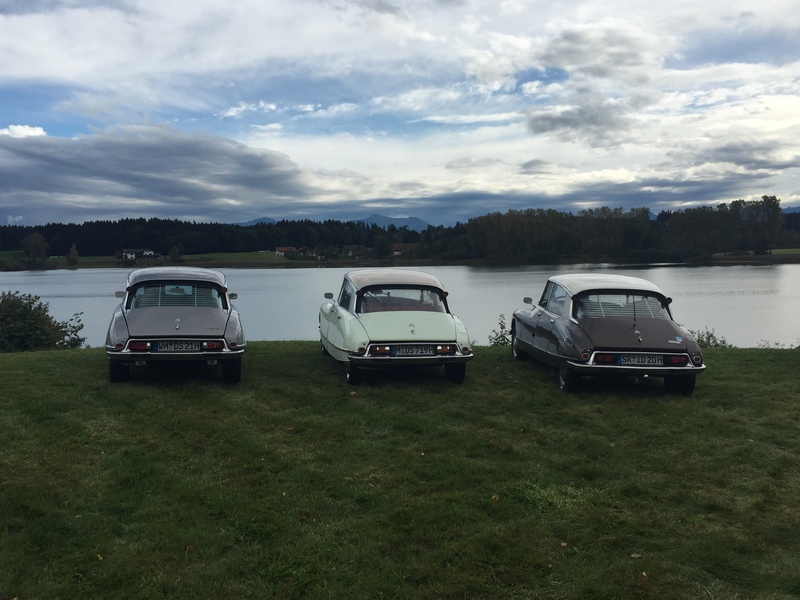 There were not just super-expensive exotica but also some more ordinary classics such as Citroën DS and Mercedes E-klasse but they were all in excellent condition. I’m not sure if there is a requirement that your classic be in mint condition to store it there or not but they certainly were. And the restoration facilities seemed to be very busy with some beautiful examples as well. Meilenwerk also have facilities in Stuttgart, Düsseldorf & Zürich which look equally impressive. The address in Berlin is Wiebestrasse 36 – 37, 10553 Berlin. I highly recommend a visit. Following the thwarted attempt to collect my DS myself on a trailer some time ago I enlisted the help of a professional car transporter who picked up the car and took it to a new, more reputable garage (Herman Janssen) in Bennekom in the Netherlands. Finally I can report I have found a garage that is not only honest but fast and exacting and really seems to know what he is doing. Rather than the 4000€ quoted by the thief in Middelburg he fixed my broken axle and electrical problems for around 700€. Finally I was able to take my car for a test drive without it breaking down! It still had a problem with not selecting reverse on the hydraulic semi-automatic so I left the car there with instructions to fix this also. Unfortunately this was quite complicated and took Herman three days to fix. To his credit he only charged me for 16 hours work and also fixed a number of other things to make the car ready for the road such as lights and the horn. This is all done now and apparently the car is ready for collection. Unfortunately since my last post I have moved to Madrid, Spain which makes popping to Bennekom slightly more problematic. I am thinking now of what I should do with the car but in the meantime I guess I will have it transported to a storage garage while I think about it. All in all, having finally dealt with someone honest, I am feeling a lot better about the whole experience even though it has cost me more money. I think I will head to the Netherlands in a few weeks to check it out. I will keep you posted on whether I decide to sell it or keep it. 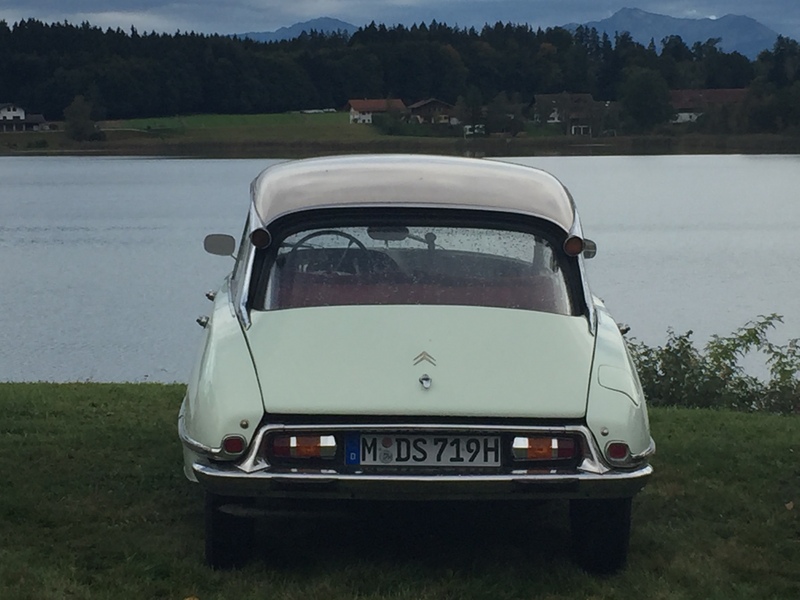 I am moving to Milan, Italy in February which is also not such a suitable place to drive a classic Citroën but I will think about it. 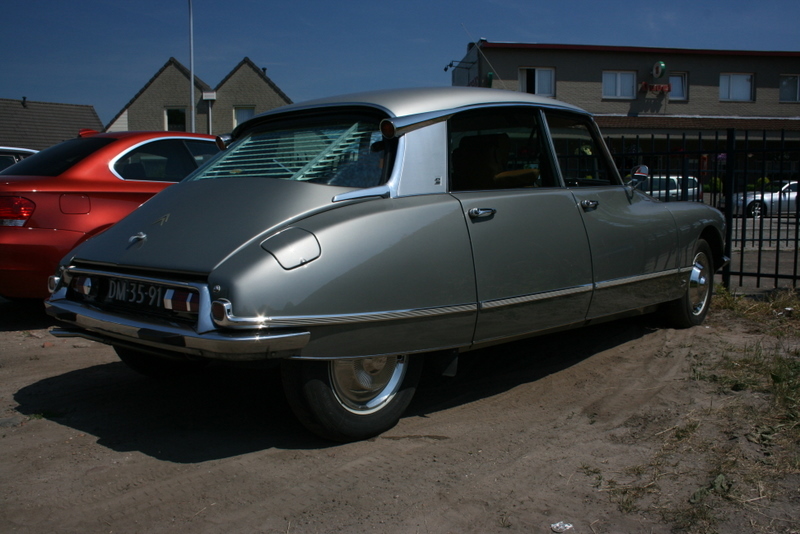 A Citroën DS that works! Today I had a treat. I seem to have had a few lately but anyway, this was a nice one. 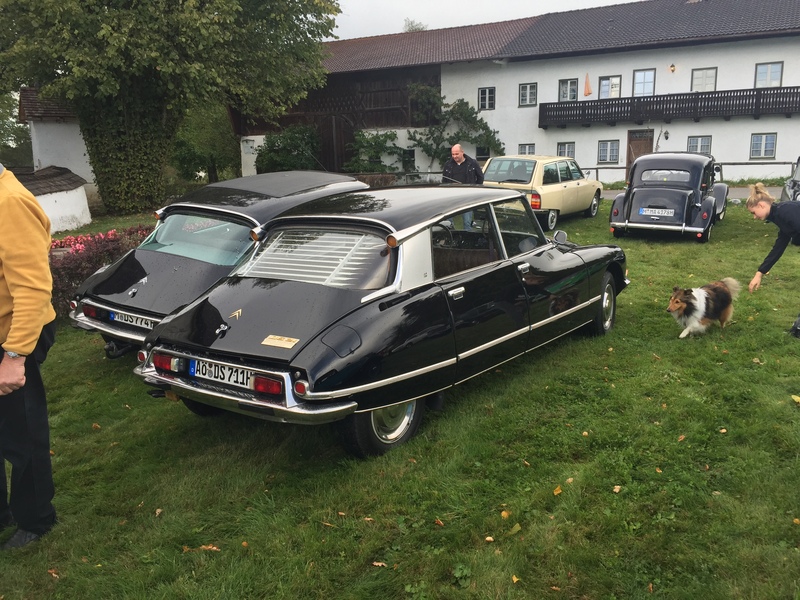 I met a guy, Paul from the Netherlands, on the Citroën forum who has a 1965 Citroën DS19 Pallas, exactly the same model as mine, only his one works. He lives north of Eindhoven so we arranged to meet halfway on the “grens van België en Nederland” (the border between Belgium and the Netherlands) here. I drove up from Antwerp in my BMW and arrived at the prescribed time. A few minutes later the “snoek” as they are known in Holland also arrived, gleaming and shiny in our uncharacteristically hot summer weather. 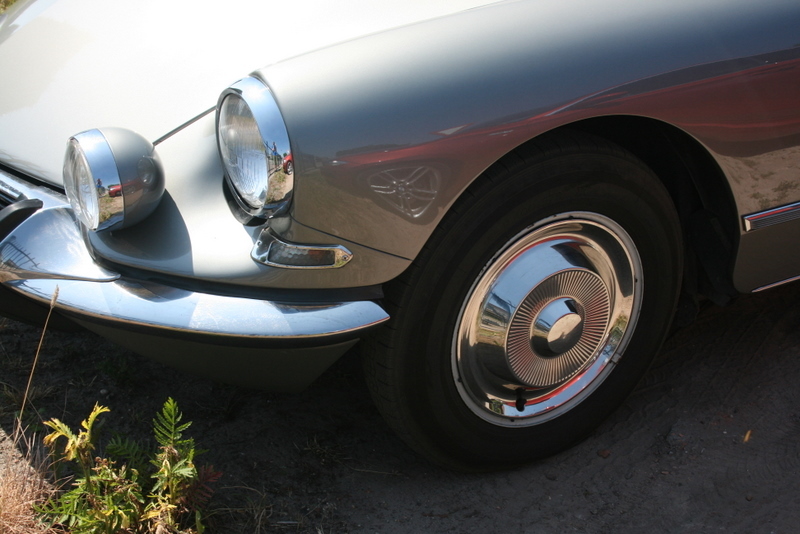 Snoek means Pike (as in the fish) and refers to the shape of the DS. 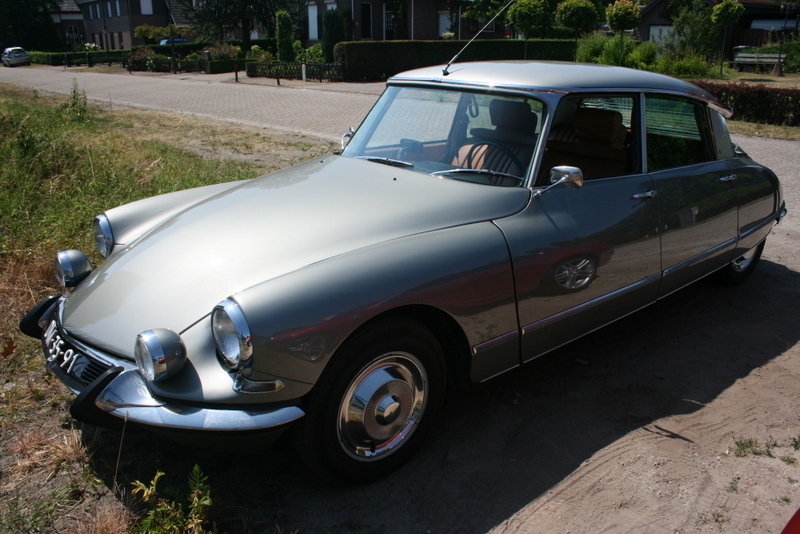 This is a truly magnificent example of a DS, actually in better than showroom condition. It has had a full body-off-frame restoration from top to bottom and it shows. The body, painted in its original Gris Palladium is perfect. It has the original “Sombrero” wheel covers which were only ever sold on the ’65 Pallas model and the interior has been beautifully restored with tan leather and new carpet. 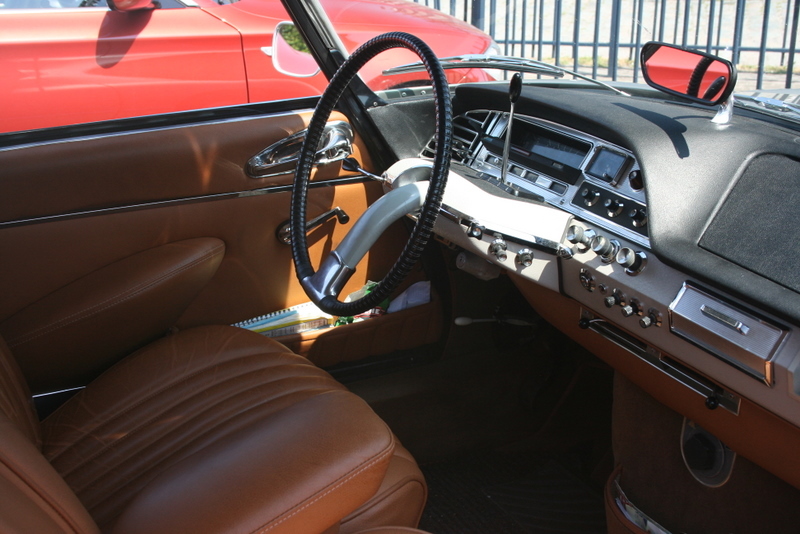 I was told that the leather is actually the leather used on 1970s Mercedes but is very very close to the original Citroën leather that is no longer attainable. We sat initially for a chat and a beer before we set off for a drive in the Déesse further into Holland. Paul drove and I could immediately tell that this car is in perfect working order. The engine started easily, it idled smoothly, the hydraulic suspension lifted up smartly, and everything just worked. We drove a few kilometres before arriving in the town of Baarle Nassau/Baarle Hertog. It’s worth taking a second to tell you about this very unusual town. As I said, we were now in the Netherlands and Baarle Nassau is indeed a Dutch town. But Baarle Hertog (which is part of the same town) is actually Belgian so it’s a little bit like the old West Berlin when Germany was still divided. However, unlike West Berlin which was a fairly uniform shape, the two Baarles are a complicated jigsaw puzzle of different pieces including bits of the Netherlands completely surrounded by bits of Belgium which are again completely surrounded by the Netherlands. If you don’t believe me check out Google Maps. When I first saw this a few years ago I thought someone had made a mistake but it’s real and is a result of complex medieval treaties, agreements, land-swaps and sales between the Lords of Breda and the Dukes of Brabant. Wikipedia elaborates. My favourite bit is the fact that in some restaurants which straddled the border the customers would have to switch tables from the Dutch side to the Belgian side because the Netherlands had an earlier compulsory closing time back then! While out driving we passed a number of classic American cars as apparently there was a gathering on nearby. We even saw a ’61 Cadillac Coupe de Ville, one of my personal favourites. Given the glorious weather it seemed that everyone was out enjoying their classic cars, convertibles, and motorbikes and everyone was waving to one another. 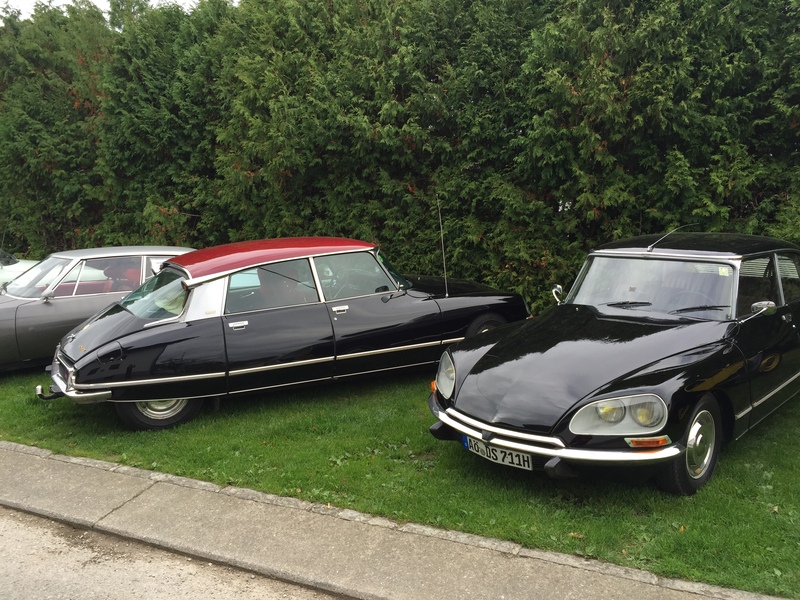 The DS certainly attracts a lot of attention as they are particularly popular in the Netherlands. Driving a DS is an extremely calming experience. Because it is French it will not be rushed. This is not to say it is slow, they are capable of well exceeding the speed limit, but it does not like to be rushed. The semi-automatic gearbox works best if you smoothly lift off, flick the lever, pause for half a second, and then smoothly press down on the accelerator. Any attempt at haste will result in jerky gear changes and indignant Gallic muttering from the car. Likewise the suspension, its most famous feature, requires that you pause and give it a minute to get ready before you set off. I’m sure the DS has been used for the occasional bank robbery but you would want to leave the car running while you did the job. Otherwise you would have to sit and wait for the suspension to raise the car before you could leave. I steered the DS back to the border with Belgium where, after taking a few photos and having a bit more of a chat, we said our goodbyes. Getting back into my BMW with it’s M-sport suspension and firm sports seats made the differences between the French and German philosophies of car design even more apparent. They very much reflect their countries of origin as well. 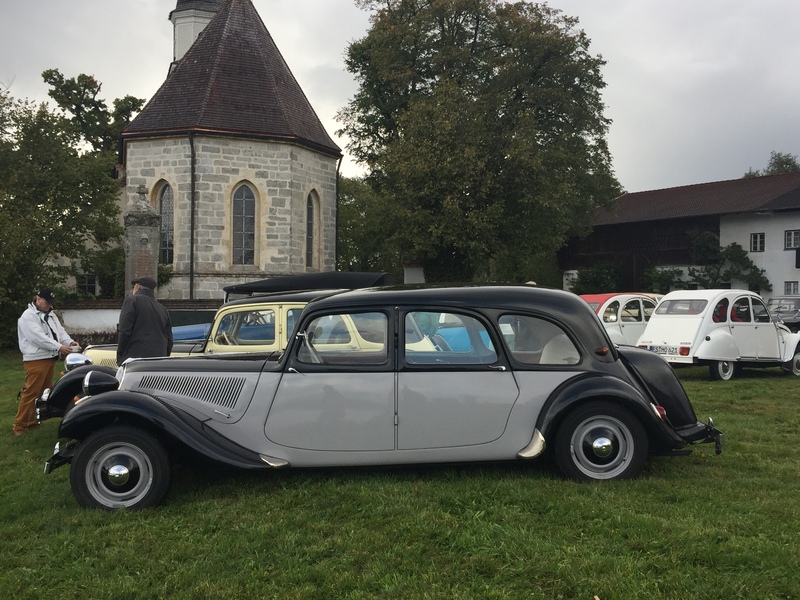 The French car emphasises comfort, relaxation, a slower pace of life and is quirky if not deliberately different, whilst the German car is serious, single-minded and built with lots of words such as effective, efficient, and purposeful in mind. They are at opposite ends of the motoring spectrum and both are brilliant in their intended functions which is about the highest praise one can give in industrial design. I love them both.